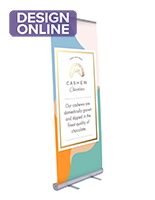 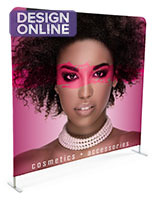 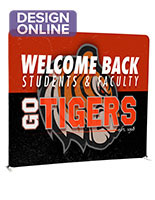 This single sided 8’ wide banner backdrop comes with custom printed full color graphics. 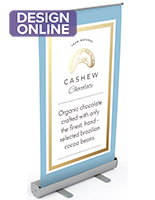 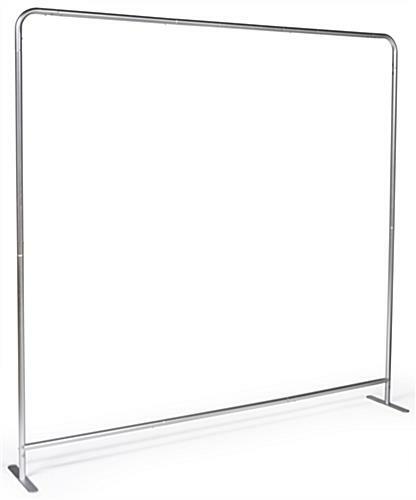 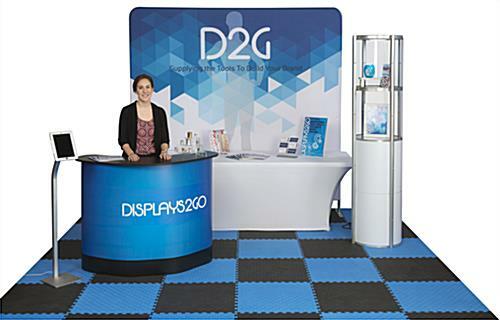 Great for a trade show, red carpet, or any other promotional event, the display is lightweight and easy to assemble. 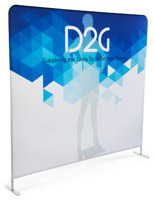 Each custom backdrop is printed on a stretchy fabric and zips close under the bottom of the frame. 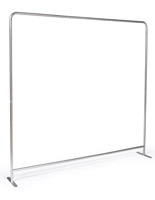 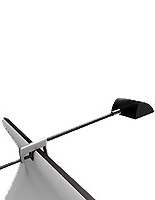 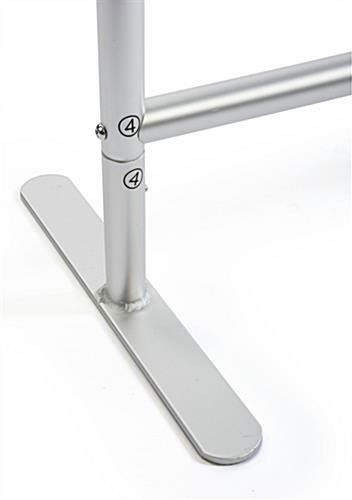 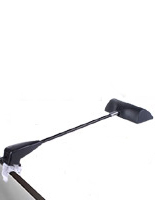 The hollow aluminum tubing design of the frame makes the unit both manageable and sturdy. 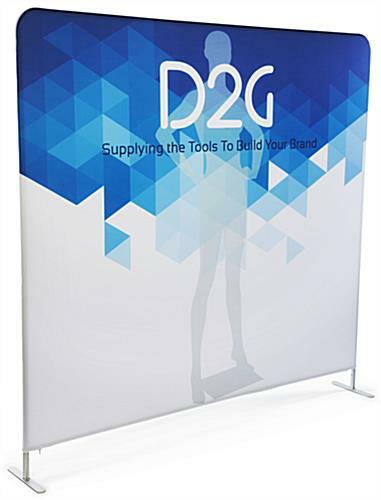 Because the backdrop is machine washable, the fabric cover can be used again and again. 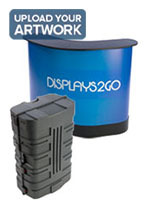 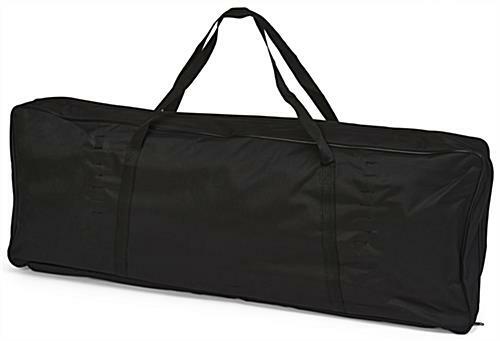 An included canvas carrying case makes transportation to and from events like a trade show a breeze. 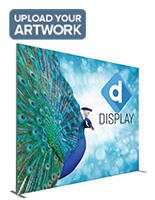 90.0" x 95.0" x 14.5"
8.5" x 11.0" x 52.0"